Top grain 4 to 5 oz. chap leather. 1" nylon belt. 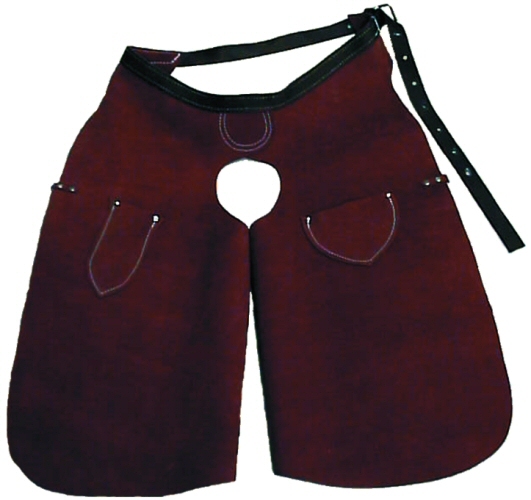 Nail pouch and hoof knife pockets.